Holiday house 249855 Our beautiful studio is located in one of the most popular city's areas.Everything is close:Metro, bus or tram station is just a few minutes walk.Downtown reachable within a walking distance. Holiday apartment 249897 On the 3rd floor of a classic art nouveau building , next door to a 5 star hotel. Directly facing Frank Gehry's dancing house, offering one of the best views in Prague. Holiday apartment 309498 Newly renovated ground floor apartment - 3 rooms, 52 square meters: 1 bedroom (1 double bed), 1 living room (additional 2 sofa beds for 3, TV, DVD), kitchen (washing machine, electric cooker, microwave oven),1 bathroom (shower + bath, hot water - . Holiday apartment 309656 If you yearn for individuality and freedom, then they are in the right place. The apartment offers you all the creature comforts for a pleasant stay. Holiday apartment 309563 Welcome to our serene apartment just twenty minutes walk from the historic city center. Holiday apartment 309582 This nice studio apartment is close to Prague''s historic centre, in the Smichov district. Ideal for exploring the city while staying in a quiet location! Holiday apartment 249645 The apartment Melnicka Mala Strana is located in the heart of the Lesser Town (called Mala Strana) which is the oldest district of Prague, founded in the Middle age, with dominant renaissance and baroque styles, on a quiet street , in walking dis. Holiday apartment 309464 WELCOME TO OUR SPACIOUS & QUIET APARTMENT CLOSE TO PRAGUE''S HISTORIC CENTRE. SITUATED WITHIN A SECURE BUILDING, OVERLOOKING A PARK, THIS APARTMENT IS A GREAT CHOICE FOR EXPLORING THE CITY.---MORE THAN 15 5*REVIEWS !!! 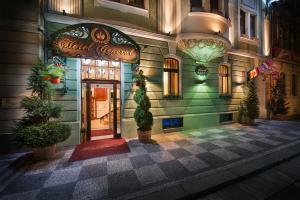 Hotel General price per day from €87 This exclusive 5-star hotel is housed in a building dating back to 1890. 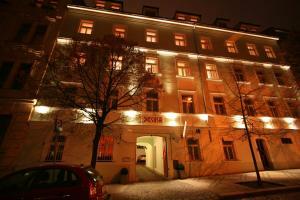 Centrally situated on Prague's riverside, Hotel General offers a welcome drink, a restaurant and a wine bar. The elegantly designed restaurant serves a full breakfast from 07:00 until 11:00 every morning. After a long day guests can unwind at the stylish wine bar in the cellar, which serves Czech beer and a fine selection of wines. Anděl Apartmány price per day from €48 Renovated and refurbished in 2014, Anděl Apartmány is on the left bank of the river, a 15-minute tram ride Prague-Smíchov Railway Station. 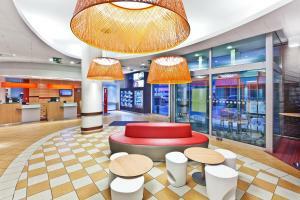 It offers rooms with fridge and microwave, spa facilities and free Wi-Fi. The dining area includes a refrigerator, a microwave, an electric kettle and kitchenware. Breakfast is served daily in the breakfast room and guests enjoy free access to the hotel’s Relax Centre during the morning hours. La Boutique price per day from €51 La Boutique Hotel is situated in Prague 5, 250 metres from the Anděl metro stop and 500 metres from the Nový Smíchov shopping centre. The property has uniquely designed air-conditioned rooms with a satellite TV and a minibar. The bathroom with a shower comes also with a hairdryer. Many restaurants, cafés and bars are in the vicinity. Popular landmarks like Prague Castle or Charles Bridge are reachable within a 15-minute walk from La Boutique. Pension Kern price per day from €37 Offering 24-hour reception, Pension Kern is surrounded by greenery in a quiet residential area of Prague. It is a 10-minute drive from the city centre and provides free private parking. The rooms are equipped with air conditioning, satellite flat-screen TV and seating areas. The entire guesthouse has free Wi-fi access. Pension Kern offers a terrace and a garden for guests' relaxation. The U Mechurky bus stop is 20 metres away.